Fulton are a British umbrella manufacturer who hold a Royal Warrant making them the exclusive supplier of umbrellas to HM the Queen. Scroll down for more info. Introducing the Huntsman. A gent’s walking khaki umbrella is a fantastic quality long walking umbrella made from high-performance, polyester pongee fabric. The Huntsman also features a strengthened double rib steel frame. The Khaki umbrella is very popular with gents wanting something other than the traditional black or navy blue umbrella. 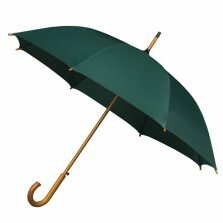 Also finished with a dark wood crook handle and manual opening, this khaki umbrella has a canopy width of 109 cm. As well as this, the Huntsman also measures 91 cm from top to tip. 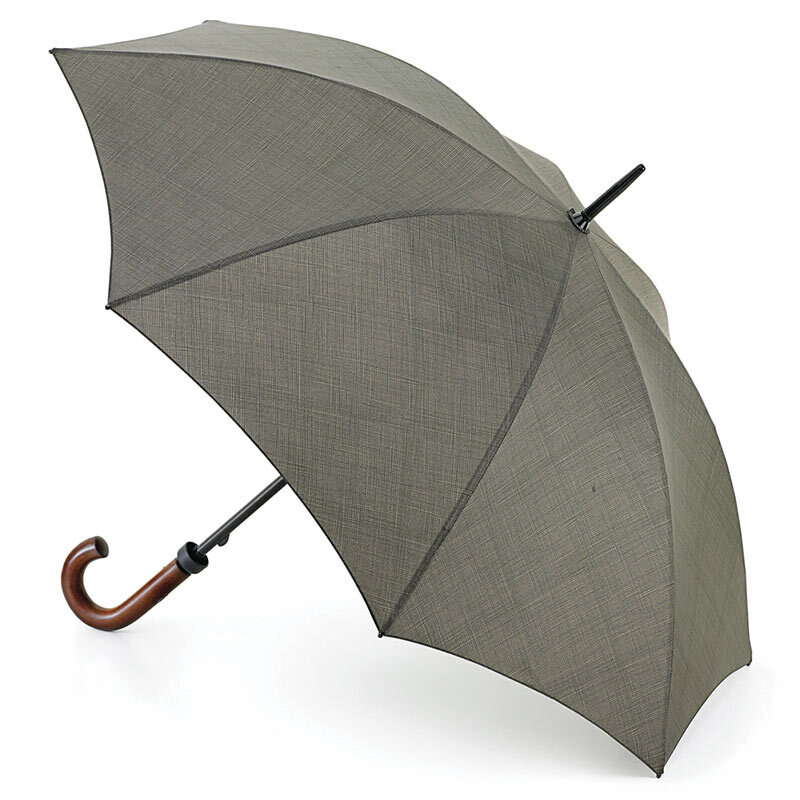 This is a classically inspired gentleman’s walking umbrella with a double strength frame. 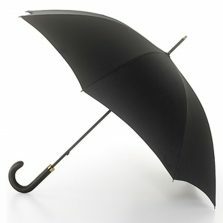 Sturdy 14 mm steel shaft, weighing 600 g.
A smart, classically styled gent’s walking umbrella always makes a perfect, practical gift at any time of the year. Not the one for you? 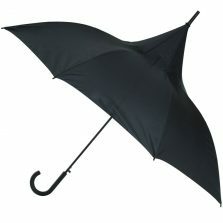 Check out the rest of our range of quality mens umbrellas!